A 1976 graduate of the University of Montana will serve as the next president of the American Bar Association, an organization of nearly half-a-million members, the school announced this week. Bob Carlson, who earned his bachelor’s degree from UM in 1976 and his law degree in 1979, took the post this week at the ABA’s annual meeting in Chicago. Carlson is a shareholder with Corrette Black Carlson & Mickelson P.C. and a resident of Butte. He’ll serve as the second ABA president from Montana, though he’s 60 years removed from his predecessor. That former title belonged to William J. Jameson, a 1919 UM graduate and U.S federal judge under President Dwight Eisenhower who also was a member of the Montana House of Representatives. The law library at the Alexander Blewett III School of Law at UM bears Jameson’s name, as does the highest honor given by the State Bar of Montana. Carlson won the Jameson Award in 2016. Carlson served as president of the State Bar of Montana from 1993 to 1994, chaired the state bar’s board of trustees, and served as Montana’s state bar delegate on the ABA House of Delegates, along with many other highlights. Carlson said he plans to continue the ABA’s mission of advocating for access to justice and criminal justice reform, though he also looks to make a difference for practicing lawyers in their everyday work. 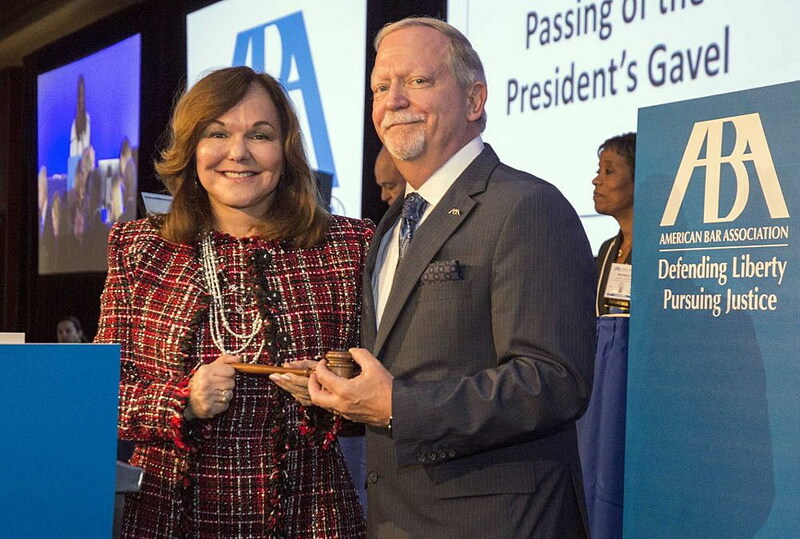 “As a Montana lawyer in a small firm, I know firsthand what a difference membership in the ABA makes for my practice and what a difference it makes in all our communities and our nation,” Carlson said.